Third edition in paperback available! Also available for iPad, Kindle and multidevice PDF. Read the preview for free! Prologued by the “Running Lean” author and Lean Canvas creator. With an amazing design and full colour illustrations. Case stories of success and failure. Full access to videos and extra content. Focus on a memorable difference that matters to your customers. Gamification to design strategy and business models. Awesome! 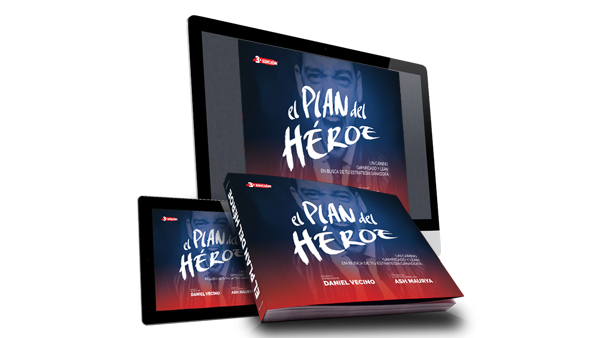 The Hero Plan, a systematic and gamified lean method to design your strategy. 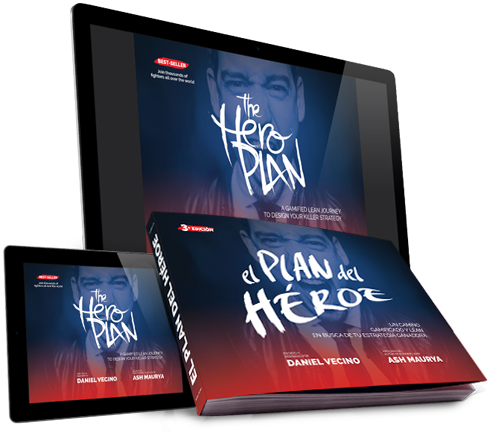 Daniel Vecino is an international expert & outsider in lean strategy, business models, innovation and neuromarketing. Vecino fights alongside professionals and companies from all over the world, leanly designing focused, different and memorable proposals. 6 companies founded: mobile technologies, mobile payments, strategy, marketing and communications. +350 distinctive staging events all over the world. Download +99 pages for free! 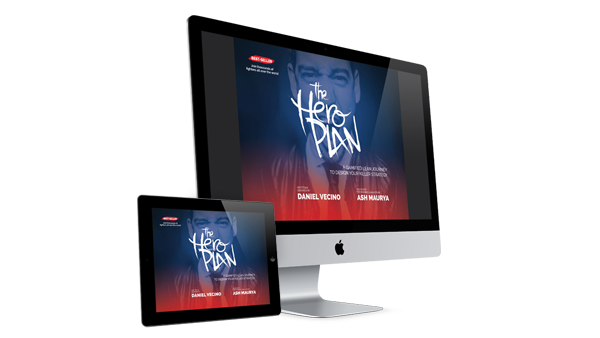 Join our Dojo and download for free The Hero Plan book preview and much more contents. JOIN THE DOJO FOR FREE!